Every year we set ourselves a challenge in an effort to raise much needed funds for great local charities, and in 2017, our charity challenge was tougher than ever! We teamed up with Hampshire based Mozzo Coffee and Tilford based 1st Call Tree Surgeons to raise funds for two fantastic local charities that some of our pubs support; Hampshire and Isle of Wight Air Ambulance and Rainbow Trust Children’s Charity. In July, a 16-strong team of not-so-seasoned climbers took on the 3 highest peaks in England, Scotland and Wales. On day 1 they tackled Ben Nevis in Scotland, the highest of the 3 peaks at 1345m, before climbing Scafell Pike in England (978m) and Snowden in Wales (1085m), on day 2. 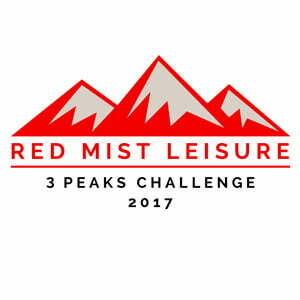 This was no mean feat; the gruelling schedule didn’t allow for much sleep or rest between the climbs, but we are proud to have completed the challenge in support of the wonderful work these 2 charities do each and every day. We are delighted to have raised nearly £12,500 with this year’s challenge and would like to thank each and every donation; your support is greatly appreciated!